It turns out that Russian businessman and former Russian Army officer Victor Bout freed by a Thai lower court in August 2009, after being caught up in a US sting operation, was declared guilty a year later in a Thai court of appeals, and whisked via extradition to the US. The reversal means he could face charges of smuggling arms and supporting terrorists, which could mean life in prison. On June 29 US President Barack Obama hosted his Colombian counterpart Alvaro Uribe at the White House and weeks later it was announced that the Pentagon plans to deploy troops to five air and naval bases in Colombia, the largest recipient of American military assistance in Latin America and the third largest in the world, having received over $5 billion from the Pentagon since the launching of Plan Colombia nine years ago. Six months before the Obama-Uribe meeting outgoing US President George W. Bush bestowed the US’s highest civilian honor, the Medal of Freedom, on Uribe as well as on former British Prime Minister Tony Blair and former Australian Prime Minister John Howard. There is also the ongoing so-called “FARC-politics” scandal, involving the investigation of three opposition parliamentarians — Wilson Borj, Piedad Cordoba and Gloria Ines Ramirez — as well as journalists William Parra and Carlos Lozano, who are accused of having links to the FARC (all of whom deny the charges). The Uribe regime is also stepping up its persecution of trade union activists. On August 8, Liliany Obando, who has been contracted for a human rights project by the Agricultural Workers Union Federation (FENSUAGRO), was arrested and detained by the anti-terrorism unit of the Colombian National Police. Only days earlier Manuel Gamboa, vice-president of the Peasants Association for the Defence of the Putumayo (ASCAP), an affiliated organisation of FENSUAGRO, was gunned down by right-wing paramilitaries. Obando has been charged with “rebellion” and “managing resources related to terrorist activities”. However, no material evidence has been presented to support the charges. The only “proof” provided by state prosecutors against Obando is a series of emails allegedly found on laptops belonging to FARC guerrillas and seized during Colombia’s illegal military attack on a FARC camp in Ecuadorian territory on March 1 in which 26 people were massacred. However, the material on the laptops is highly suspect. Obando said in an August 11 statement that the accusations against her are false. Obando, a sociologist, had been carrying out a study of the assassinations of FENSUAGRO members by paramilitary death squads and government security forces when she was arrested. Obando travelled to Australia in October last year where she spoke at the Latin America Asia Pacific Solidarity Forum in Melbourne, detailing the human rights abuses and anti-labour practices that are occurring in Colombia. She has also travelled to Canada and Europe meeting with unions, NGOs, student organisations, development agencies, community and faith-based organisations and raising funds for small-scale agricultural, human rights and gender equity educational projects. In addition to silencing dissent, the “FARC-politics” scandal also aims to distract attention from the growing “para-politics” scandal that is engulfing the Uribe government. More than 70 pro-Uribe legislators (including key figures in Uribe’s cabinet such as Vice-President Francisco Santos Calderon and his cousin defence minister Juan Manuel Santos, as well as Uribe’s brother Santiago and their cousin former-Senator Mario Uribe. Senator Carlos Garcia, president of Uribe’s political party, is also implicated. All these figures are under investigation for direct links to paramilitary death squads, in particular the notorious Auto-Defence Units of Colombia (AUC). Allegations have also been made that paramilitaries held secret meetings at Uribe’s farm. US academic James Petras, in a review of Calvo Ospina’s recent book Colombia, Laboratory of Witches, debunked the notion that the paramilitary groups operate independently of the Uribe regime. “The use of paramilitary death squads promoted/financed and protected by the Uribe regime to murder and ‘disappear’ popular leaders serves several strategic political goals”, Petras argued. “It allows the regime to lower the number of human rights abuses attributed to the Colombian Armed Forces; it facilitates the extensive use of extreme terror tactics … to intimidate entire communities; it creates the myth that the regime is ‘centrist’ — opposed by the ‘extreme left’ (FARC) and the ‘extreme right’ (death squads). “This claim is particularly effective in furthering the regime’s diplomatic relations in the US and Europe …”, according to Petras. The investigation into the “para-politics” scandal has increasingly brought the Uribe government into confrontation with the Supreme Court. Uribe has sought to undermine the investigations by extraditing key AUC witnesses to the US, as well as proposing constitutional amendments that would curtail the ability of the Supreme Court to investigate sitting politicians. In May, the Supreme Court had ordered an investigation — dubbed the “Yidis-politics” scandal — into a constitutional amendment passed in 2005 that allowed Uribe to stand for a second term in office, after former parliamentarian Yidis Medina publicly admitted he had been bribed to vote for the amendment. Uribe went on to win the 2006 presidential elections with 56% of the vote. However, in a country where elections are marred by intimidation, violence and assassinations, only 21% of the electorate voted. Uribe, who is pushing for a further constitutional change to enable him to stand for a third time and has managed to secure a support base among the urban middle classes, responded by accusing the Supreme Court of being infiltrated by paramilitaries. He proposed a “consultative referendum” on his presidency. The Supreme Court has since backed down, announcing on July 2 that it would withdraw its investigation and that the constitutional reform “could not be an object of revision”. Despite corporate media and US State Department eulogies to the “democratic credentials” of the Uribe regime, Colombia continues to have the highest rate of killings of trade unionists in the world. Since Uribe assumed the presidency in 2002, more than 500 unionists have been murdered by state and paramilitary forces and according to the European Union, more than 300 human rights activists were assassinated during Uribe’s first term in office. James Brittain, in an August 8 Colombia Journal article, reported that more members of FENSUAGRO have been assassinated than any other union in Colombia. Emphasising Obando’s links to social movements, religious institutions, human rights groups, academics and unions outside Colombia, Brittain categorises her arrest as a systematic attempt to mask the “reactionary military, political and economic policy” of the Uribe government “by going after those who can reveal the truth”. “Amidst efforts to obtain bilateral free-trade agreements with the United States and Canada, it is imperative that the Colombian State silence any and all attempts at international solidarity among unionists, researchers and concerned citizens”, Brittain concludes. Tensions and uncertainties continue to rise as what some are calling a bout of “referendumitis” sweeps through Bolivia. On July 23 — one day after the right-wing opposition to Bolivia’s first indigenous president, Evo Morales, demanded a referendum on the controversial issue of the nation’s capital — the sole magistrate remaining on the Constitutional Tribunal called into question the constitutionality of the recall referendums set for August 10 that will determine the fate of Morales and eight out of nine of the sitting prefects (governors). The majority of prefects are from the opposition. The government, along with the National Electoral Court, declared the decision invalid. With the resignation of four other judges, and and Congress unable to agree upon successors, the decision was made without reaching the three-member quorum. Since May 4, four unconstitutional autonomy referendums have been held in the eastern departments (states) of Santa Cruz, Pando, Beni and Tarija — strongholds of the opposition. The referendums aimed to legitimase the claims of the elites for control over natural resources and land in the east, as well as their push to modify the draft constitution. The draft was written up by the democratically elected constituent assembly and handed over last December to be approved in a national referendum. The opposition announced victories of “over 80%” in the polls, while the government highlighted the fraud and mass abstention on voting days that were marred by racist attacks against indigenous people. On July 23, US State Department official Thomas Shannon arrived late for his 5am meeting in the presidential palace for talks to try to sooth rising tensions between the two countries. Morales had announced in front of a massive peasant march in Potosi that he would present proof of how Washington “was campaigning against me, against my government and therefore against the social movements”. Morales stated that money from “the gringos” in USAID, a US government-funded body supposedly for promoting democracy that is helping fund the opposition in Bolivia, was being used to divide people. Last month, the coca growers (whose union Morales still heads) together with municipal councils run by Morales’ Movement Towards Socialism (MAS) expelled USAID from the Chapare region. Rising anti-imperialist sentiments were also on display at the massive demonstrations that surrounded the US Embassy in June, following the decision to grant ex-minister of defence Carlos Sanchez Beltran asylum in the US. Bolivia has been asking for his extradition, along with that of former president Gonzalo Sanchez de Lozada, to face charges for their involvement in “Black October” — the massacre of around 70 people during the uprising that toppled Sanchez de Lozada in 2003. US ambassador in Bolivia, Philip Goldberg, was called to Washington to discuss the tensions between the two nations, while Morales fired the head of the police for the repression meted out to those protesting outside the embassy. Meanwhile, the attempts by the US and Colombia to “prove” support from the left-wing Venezuelan and Ecuadorian governments for the Revolutionary Armed Forces of Colombia (FARC) have been expanded to include Bolivia. Bolivian newspaper La Razon claims the laptops allegedly rescued from a bombed FARC camp in Ecuador now also have turned up emails linking the FARC to MAS senator Antonio Peredo. Peredo denounced this as part of a “perverse” campaign to try and link Morales to the FARC. This is just part of the backdrop to the August 10 recall referendums, initially rejected by the opposition-controlled senate in January, then approved in May and then rejected once again in June by the National Democratic Council (CONALDE) that groups together the right-wing pro-autonomy prefects of the east. Following a new arrival on their team in the form of newly elected opposition prefect of Chuquisaca, Sabina Cuellar, CONALDE announced that they would participate in the referendums. Only Cochabamba prefect Manfred Reyes, who last year challenged Morales to test his support at the polls but is now reneging on his ultimatum, is opposing the electoral battle. As an opposition prefect in the heartland of MAS’s support base, Reyes knows his position is one of the most at risk. CONALDE also announced plans to begin protests the day after the referendums if the government did not agree to a referendum on the issue of the capital. This issue was at the centre of recent violent confrontations in Sucre, Bolivia’s historic capital in the country’s centre where the constituent assembly that drew up the current draft was convened. The controversy over the capital dates back to the civil war in 1899 that saw state powers shift to La Paz in the west. Resentment over the lack of development in Sucre have also been stoked by opposition forces, who raised the issue of the capital in an attempt to stop the constituent assembly and spread their support base from the east. The third plank of CONALDE’s announced offensive is mobilisations against government moves to use 60% of money collected from the Direct Tax on Hydrocarbons (IDH), previously destined for the departments, to fund a universal pension for those over 60. This opposition comes despite the fact that gas revenue to the departments has more than doubled over the last two-and-a-half years as a result of the government’s gas nationalisation policies. While the remnants of the discredited traditional parties have formed an unstable “National Coalition for No to Evo”, some political commentators have noticed a curious anomaly: while participating in the referendum, much of the opposition is afraid to openly campaign for a vote against Morales and lend support to the allegations that they aim to “bring down the Indian”. Writing in the July 20 Argentinian daily Clarin, Pablo Stefanoni reported that Jose Pomacusi, ex-director of the virulent anti-Morales TV station Unitel stated his position was, “we don’t need to change Evo, Evo has to change”. Pomacusi argued that the best scenario would be a Morales victory by a small margin, denying him any blank cheque. Others have expressed fears that without an obvious opposition figure to replace Morales, the country could become even more unstable. While the opposition forces are yet to mobilise in the streets around the referendum campaigns, they have begun an intensive publicity campaign attacking the government’s record. Meanwhile, more and more social organisations are coming behind the campaign to vote in favour of Morales, taking to the streets across the country. In some places, right-wing youth have violently attacked pro-Morales campaigners. Many in MAS are saying that a big victory for Morales could pave the way to an overwhelming victory in the referendum on the new constitution, which enshrines some of the key planks of the self-proclaimed “cultural and democratic” revolution led by Morales, such as a plurinational state and state control over natural resources. In the east, many see a defeat for Morales in those regions, regardless of whether he wins nationally, as a mandate to implement the autonomy statutes “approved” in the illegal referendums. In his speech in Potosi, Morales stated his confidence in the support of “all the social forces of the country to defeat the neoliberals and traitors to the homeland”. 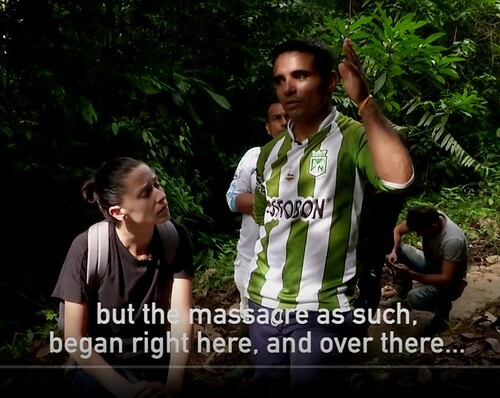 Two weeks after Íngrid Betancourt was freed from Revolutionary Armed Forces of Colombia (FARC) guerrillas, along with more than a dozen other hostages, the details of exactly what happened remain cloudy. The FARC issued a statement late last week claiming that the commanders in charge of the prisoners were “traitors,” but those same commanders clearly showed signs of having been beaten by the military as they were paraded before Colombian TV. 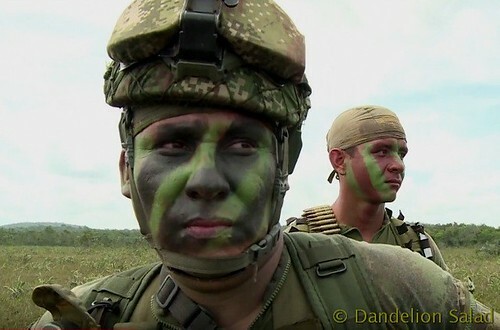 The captured FARC commanders’ lawyer told Colombian television that, in violation of international law, the military had painted the helicopter used in the rescue with the insignia of the Colombia Red Cross, and some of the disguised military commandos sported International Red Cross emblems. After initially denying it, the Colombian government admitted on July 16 that at least one of their commandos had, in fact, worn a Red Cross emblem in order to fool the guerrillas, in violation of the Geneva Convention. Meanwhile, Venezuelan President Hugo Chávez welcomed Colombian President Álvaro Uribe to a summit meeting where he spoke of the necessity of restoring the economic and political ties with his “brother” from Colombia. This has provoked a debate among supporters of the Venezuelan revolutionary process about why Chávez has had kind words for his former rival, and what this means for the direction of the Venezuelan government. THE FIRST half of 2008 produced a sharp political change that allowed the local and global right wing, as well as the multinationals, to restore their positions and go back on the offensive. The change was not confined to Colombia, although its most important epicenter was there, but it extended to countries such as Argentina, Bolivia and Peru, as well as affecting the whole region. If there had been a sort of strategic equilibrium between the FARC and the Colombian armed forces, in the last months, this has broken in favor of the state in Colombia. The guerrillas lost all possibility of negotiating a humanitarian accord under favorable conditions, they cannot maintain political or military offensives, they have suffered a severe loss of credibility among the population, and now they can neither count on any significant allies in the region, nor in the world. 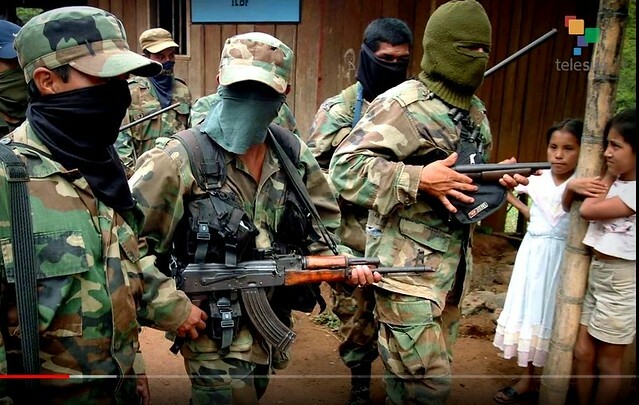 Even so, the most likely scenario is that the FARC will continue its path, with decreasing ability for initiative and the likely fragmentation of its command and geographic fronts, as is suggested by the liberation of the 15 hostages. The strategy outlined by the Southern Command of the U.S. military and the Pentagon, and expressed in Plan Colombia II, contemplates neither the definitive defeat nor negotiations with the guerrillas. Eliminating the FARC from the scene would be a bad business practice for the imperial strategy of destabilization and re-colonization of the Andean region–what Fidel Castro has defined as a “Pax Romana.” That project cannot be carried out without a direct or indirect war, or without permanently destabilizing the territorial and political configuration of the strategic region that includes the arc from Venezuela to Bolivia and Paraguay, passing through Colombia, Ecuador and Peru. On the one hand, we are dealing with clearing the Andean region to facilitate current multinational businesses (open-air mining, hydrocarbons, biodiversity, monoculture for ethanol production) that depend as much on the appropriation of public goods as the displacement of the populations that still survive in those spaces. We are not facing, what we might call, a “normal” capitalism, one that was capable in the past of establishing alliances and pacts that gave rise to the “benefactor” state, based on the triple alliance between the state, national business and the unions. We are dealing with a speculative-financial model and with accumulation by dispossession that substitutes negotiations for war and the extraction of surplus value with the appropriation of nature. This system assumes the form of a criminal or mafia capitalism in countries like Colombia, not only because war and robbery work, but because these things form the central nucleus, the principle mode of accumulation. That explains the close alliance between the private war firms in Colombia that now employ 2,000 or 3,000 mercenaries nicknamed “contractors,” with the paramilitary state that Álvaro Uribe heads, rooted in the alliance with paramilitaries and narco-traffickers. In Colombia, three forces have opposed this order of things: the guerrillas, the left of the Democratic Pole and the social movements. The first group believes that it can win through force of arms or negotiate with this new power. The Pole does not recognize the role of Washington and the multinationals, as designers and beneficiaries of the paramilitary-mafia state, and therefore overestimates the democratic margin that exists. The social movements, for their part, have big difficulties to overcome on the local and sectoral scale, and are not in any condition, for now, to put themselves forward as an alternative. PLAN COLOMBIA II was responsible for designing the militarist state and is, right now, searching for a way to consolidate it. Now that the FARC no longer represents a major threat to this project, the long-term plan appears clear. Far from opening space for negotiations, as the left wants, the message from the last months indicates only one path: neither peace nor surrender guarantees the lives of the guerrillas. They can fight and resist or wait to be exterminated, as happened at the end of the 1980s. 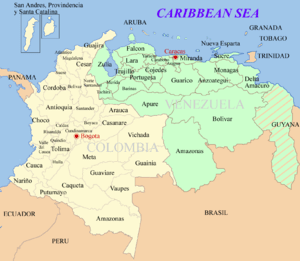 Their territorial nuclei will be hit to displace them towards the border zones with Venezuela and Ecuador, where Plan Colomba II aspires to convert them into an instrument of regional destabilization. This is why Venezeula and Hugo Chávez adopted the strategy of reducing tension with the Uribe government. We are not dealing with an ideological question, as some analysts might expect. This debate might be worthwhile around the tables of a café or in academic offices, but it has little use when dealing with the survival of projects for social change. If the empire consolidates itself, the entire region will suffer from the polarization, and that is the reason for the urgency of removing these conflicts, as much in Colombia as in Argentina and Bolivia. Neither will an eventual victory by Barack Obama modify things. It might temper the most authoritarian aspects of Uribe-ism, which explains the unease of the government in Bogotá and their hoped-for alliance with the Republican candidate [John McCain]. What is certain is that the plans of the Southern Command do not depend on the tenant in the White House. They plan to promote integrated action in the region that converts it into a stable zone and an impregnable bulwark to maintain American hegemony on a global scale. In sum, the imperial elites plan to use the force of arms to reverse their decline, and this means re-colonization for Latin American. In a period such as this one, only mass mobilization of the people and political means can contribute to weakening the offensive coming from the North. 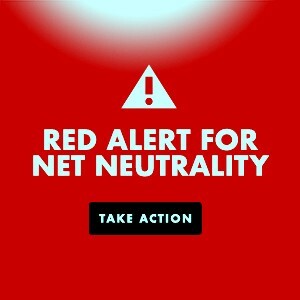 First published on Rebelion.org. Translated by Todd Chretien.